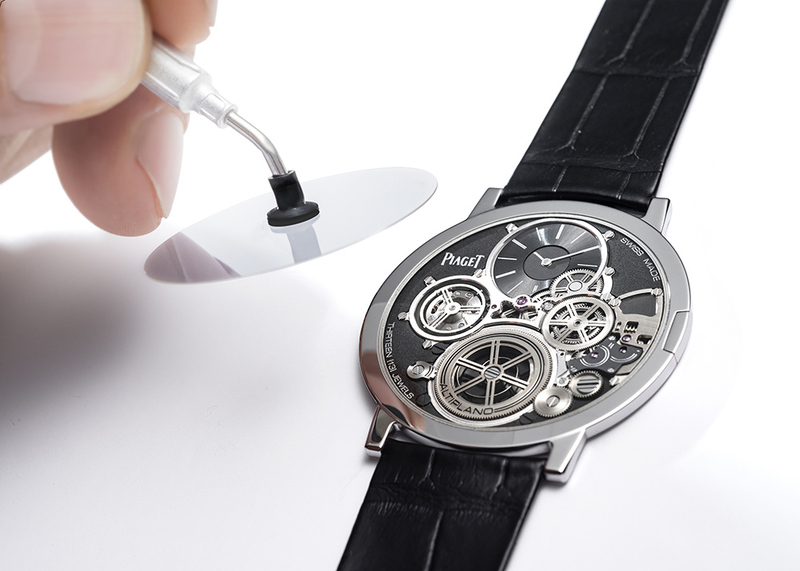 The case, done in a cobalt-based high-tech alloy, measures 41mm x 2mm. 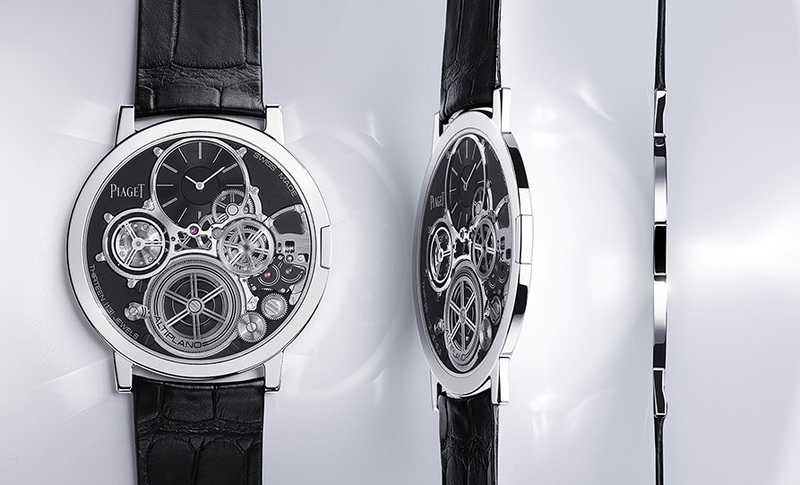 Caliber and watch exterior merge as one. Rectangular-shaped crown recessed into the caseband. Monobloc bezel integrated into the frame. 0.2mm thick sapphire crystal. 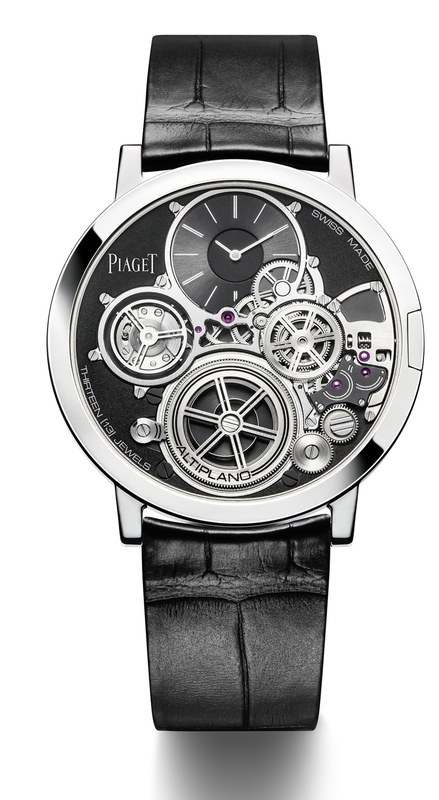 Movement is the Swiss manual-wind Piaget in-house caliber 900P-UC with 13 jewels, 28,800 vph and a power reserve of 44 hours. 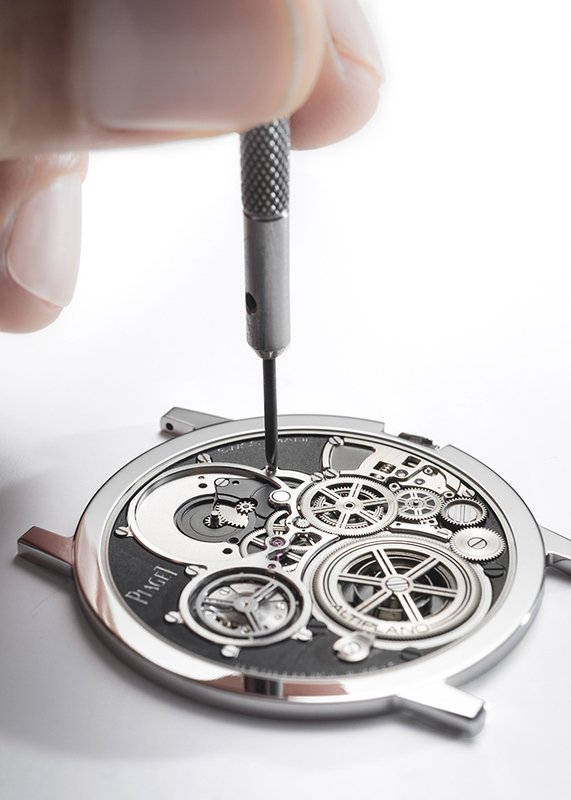 Development time for the caliber took four years and it has five patents pending. It comes on a black a lligator leather and Kevlar strap, which is 1.1mm thick, and with an ultra-thin pin buckle.